I didn't manage a #ThrowbackThursday post last week because I was too busy having lunch and gossiping with Bridie of bridiemarie.com so this is a bumper edition. How's this one, circa July 1997. Having being on the dole for the past year and a half, I had about $170 carefully saved spending money for the holiday. Upon arrival (after 12 hours on a bus), we browsed some nearby shops, I saw these boots for $99 and instantly fell in love. So I did whatever any fashion-forward dole recipient would do; I bought them. Bear in mind this was 1997 in South Australia and I was still making regular trips to the small country town I had left. These boots were the first of their kind of the scene, where they certainly turned heads and raised eyebrows amongst the locals. Sure, it kind of curtailed my spending for the rest of the trip (all of my mates were broke too so it didn't matter too much) but I never regretted it and I love them to this day, as they still sit amongst my boots. I even had them resoled a couple of years ago with a flatter, less 90s heel. What else is going on in this picture? Woodroffe Sno Top in a glass litre bottle!! That bad boy was worth 20 cents on return! And then the front screen door of our fla with my beloved beret. A bad blink but a banging tan which is about the only thing Port Hedland was good for. 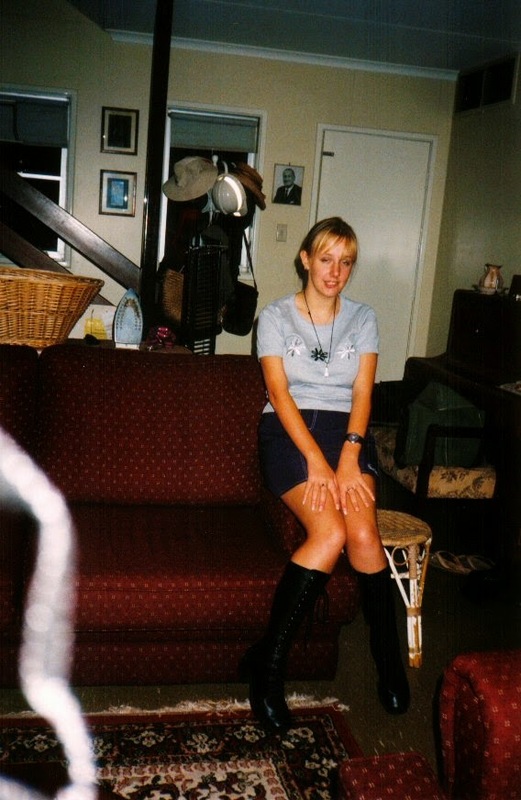 I loved that daisy top and the quick-dry purple Bad Girl skirt. And I'd totally forgotten about that crystal pendant! Mucking around at my Grandma's house. 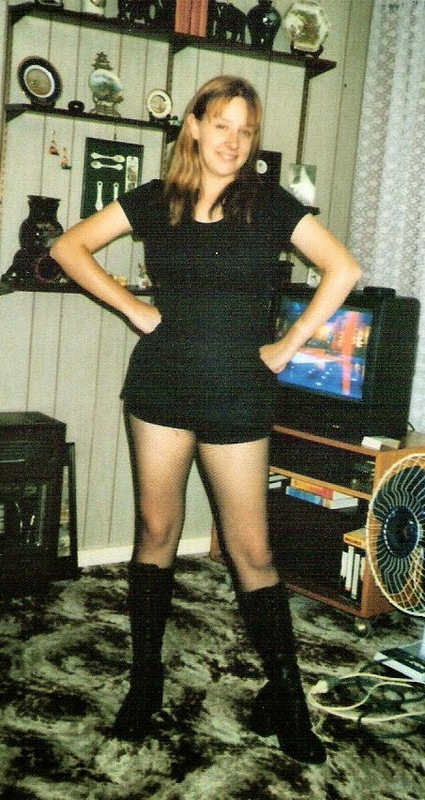 I never actually left the house looking like this but I think I knew that one day in the future I'd want a record of how good my legs were aged 19.